CELEBRATE YOUR MOST PRECIOUS MOMENTS WITH A STUNNING EVENT. WE OFFER PARTY AND EVENT PLANNING SERVICES FOR WEDDINGS, ENGAGEMENTS, BIRTHDAYS AND ANNIVERSARY PARTIES. 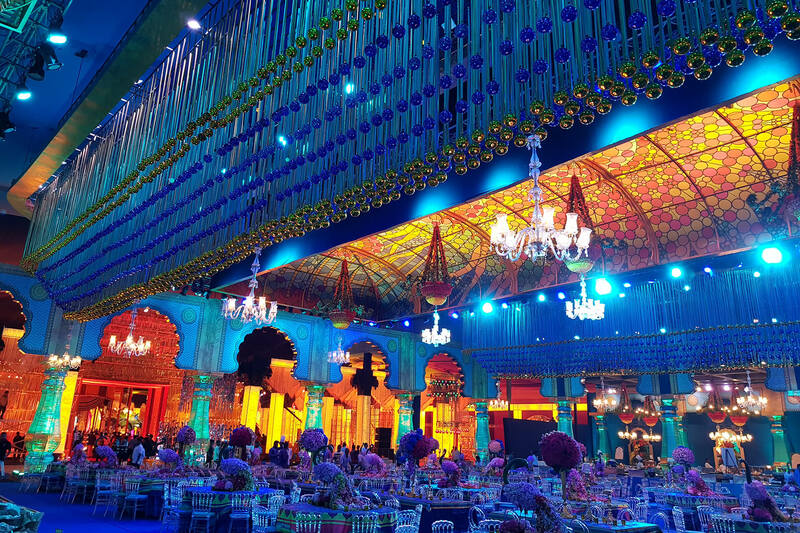 Dubai Wedding is more than just a wedding planning team. 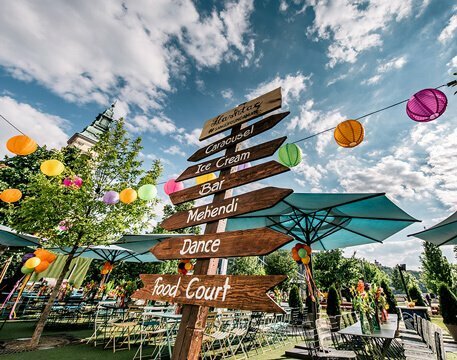 We are a full-service event management agency offering concept, design, wedding decor, entertainment and party planning services. We take care of every detail – from venue selection to travel arrangements – to guarantee you a perfect day. 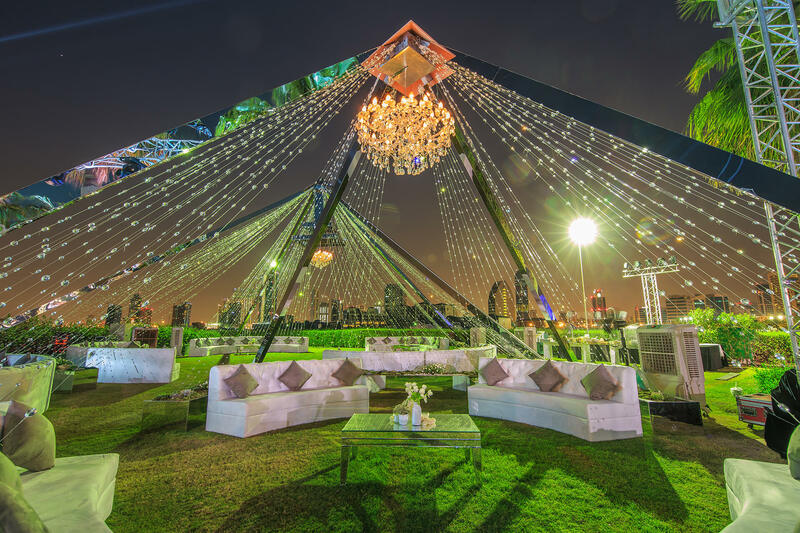 Not only can we assist you in designing and organizing an unforgettable, stress-free social event anywhere in the UAE, but we are also ready for your most extraordinary wishes. Dubai Wedding Team is different from its competitors in every way. 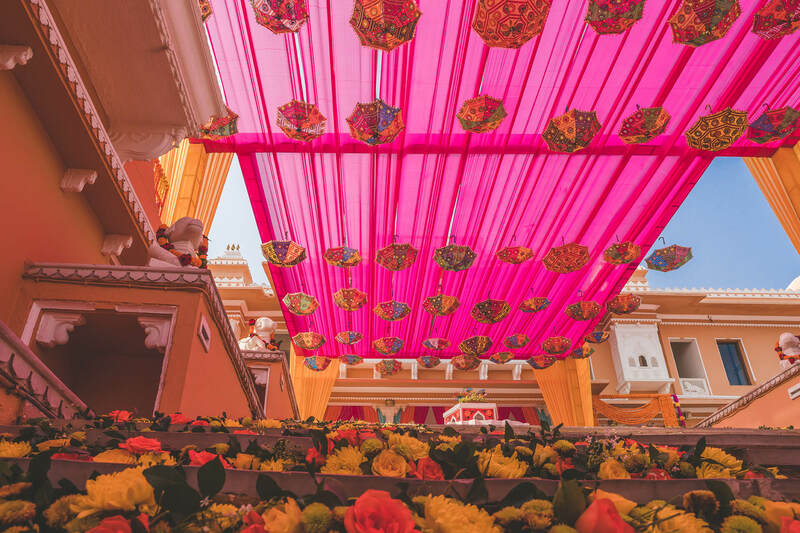 We are a team of five planners with extensive experience in the Arabic weddings and Indian weddings, to ensure you always have a dedicated member with an eye on the fine details. 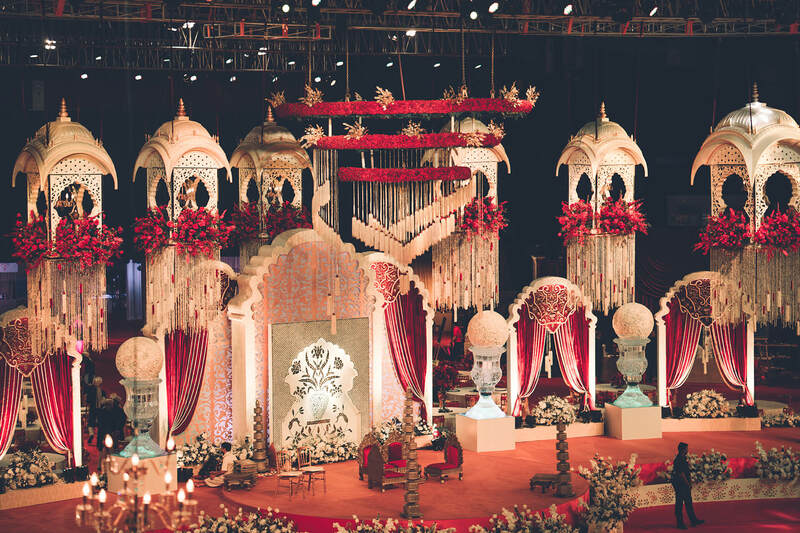 Weddings in Dubai usually last between two to five days so its definitely not a one man show. You will need organizers who are committed to the highest level of discretion, quality, professionalism as well as transparency and responsiveness, especially when you need answers to your questions immediately. 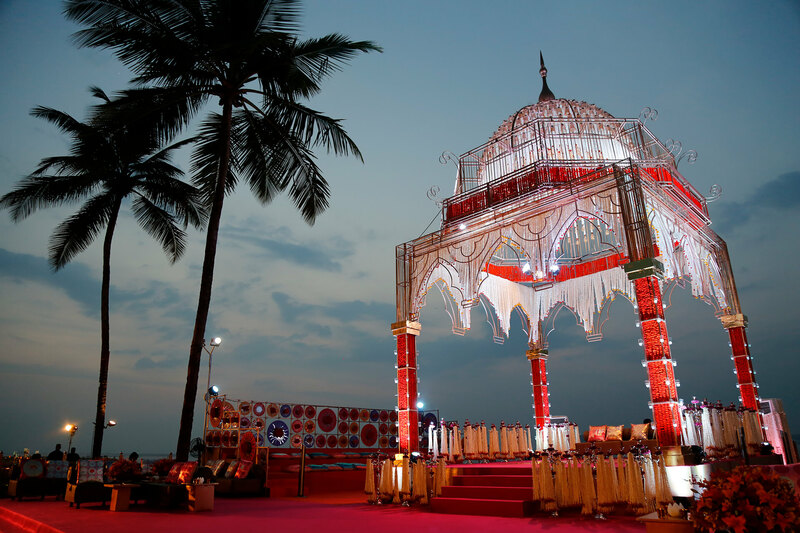 A destination wedding in Dubai is the most sought after experience. Hotels are large enough to accommodate all your guests, while the city offers the most instagrammable tourist attractions in the world. 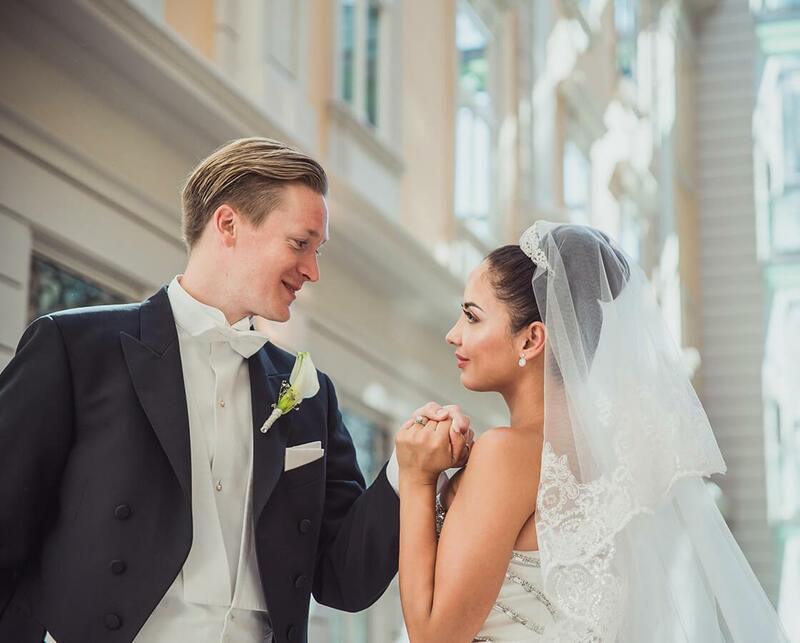 Through our high-end partners, we offer a wide range of services including unique event concept, floral arrangements, visual elements, international fine dining options and of course the best photography and videography services. Dubai has everything you need to make a memorable day for you, your family and your friends. 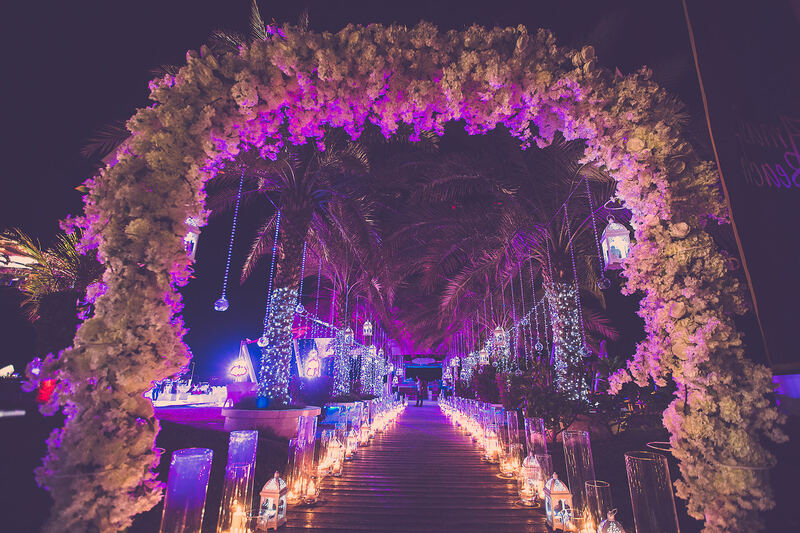 Wedding venues in Dubai will take your breath away. From stunning private villas, elegant ballrooms, exclusive yachts to sandy beaches with views over the Gulf Arabic, or palaces like the extravagant Jumeirah Beach Lawn, with the Burj Al Arab backdrop, you will all find them here. We understand that your event is one of the most important days for the family, so it has to be lavish but at the same time well budgeted. 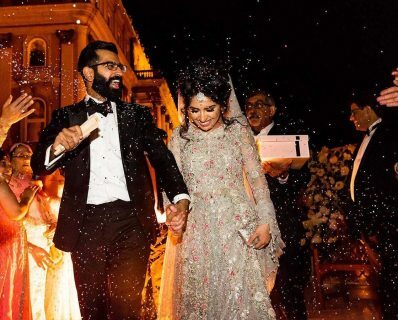 Have a look at out our Dubai Wedding Services where you can learn more from our budgeting assistance through to entertainment. We take pride in each wedding project that we take on and strive to create events that our clients will remember for a lifetime. Our team comprises of highly-seasoned professionals with years of experience working in major five star luxurious hotels and design companies. We have been in operation since 2008 and are proud to have organized more than a hundred deluxe weddings and social events. Our office is located in the prestigious Dubai Marina, Park Island. Book an appointment and we show you our previous works. Still have any questions? Drop us a line to get in touch. We look forward to working with you on planning your special event soon! Creative photo session with the bride. Couple on the dance floor. Sangeet ceremony enjoyed by everyone. Every wedding we take on is a completely unique event. First we will listen to you and based on your imagination and our inspirations we will create a custom concept around your event. Our concepts will be then get visualized by the rendering specialist. Our wedding planning team is going to be there every step on the way to synchronize the work of the suppliers. Your point of contact will only need to be us. We will make sure the wedding is planned on time while giving you a hands-on experience on how the design is executed. Simply say, we will guarantee you a perfect day. 1. As a first step in order to get in touch with us please use the form below or send us an e-mail or give us a call on the number provided on the website. Our colleagues will always be glad to answer your call. When you fill in the form please give some basic information about your wedding such as: date (fixed or flexible), number of days and functions, number of guests you are planning to invite, wedding venue type (hotel, desert, yacht, other) and your budget. 2. Within 24 hours from getting in touch we will come back to you with a tailor made presentation including venue suggestions and starting prices for food and beverages and of course our wedding planning services and fees. 3. In case you or the family is comfortable with our planning fees and the way we work, then we would run a fine tuned venue search based on your inputs and requirements. A second presentation would then be sent out with venue availabilities and hotel room rates if needed. 4. The next step is a complimentary personal meeting or a Skype call arranged with the couple / family when we introduce to each other, learn about the exact needs, the plan of the functions and the wedding weekend. This will be a perfect occasion to get to know each other. In the end our personality will need to be appealing to you when we are going to work together for the next 3-9 months. We will also discuss about the wedding budget and will ask you to let us know the maximum amount you would like to spend on the event. By this time you will have a clear idea about it. Based on our experience we will be able to tell you if it is possible to fit into the budget and we can enter into a wedding planning agreement. 5.  In the following step we will send you the wedding planning agreement for revision. In case there are any questions, then we will find the time to answer and clarify the details. Dubai Wedding Team is a one-stop-shop agency. Meaning for your convenience we are contracting with all the suppliers, we communicate with them, represent you on the meetings, will handle the payments and ultimately we will be responsible to ensure you are receiving the quality service that you deserve. 6. After, the wedding planning agreement needs to be signed and returned to us and this is when we normally ask to transfer a 50% deposit of our wedding planning booking fee. Once we receive the actual wedding planning process begins. For this fee we will start to work out the complete wedding budget line by line with each service based on the personal meetings we are going to have with you or the family. When working out the wedding budget we make sure we are not going to exceed the maximum budget that was previously agreed on. 7. After signing the wedding contract we will straight away need to book and fix the wedding venues. Depending on the venue this is typically between 20-30% of the total expected costs including food and beverages and rooms. 8. Together with the wedding concept and the budget you will receive a wedding schedule including all the things-to-dos with deadlines. This will help to make sure every task has a responsible and nothings gets left behind. The wedding budget and the wedding schedule will be uploaded to a shared folder, which is updated throughout the planning process, so you know what is exactly happening even if you are on the other side of the world. 9. In case you order our rendering service then as a next step we would create a 3D visual version of your wedding concept. You will then have the chance to make changes and modifications as per your liking that we are going to incorporate into the final design. 10. The related costs of the wedding will need to be paid as they arise, total costs of the wedding will need to be paid 1 week before the wedding date. Supplier booking fees are typically ranged between 20-50% of the total price. The final number of guests will ideally need to be provided 2 weeks before the wedding date. 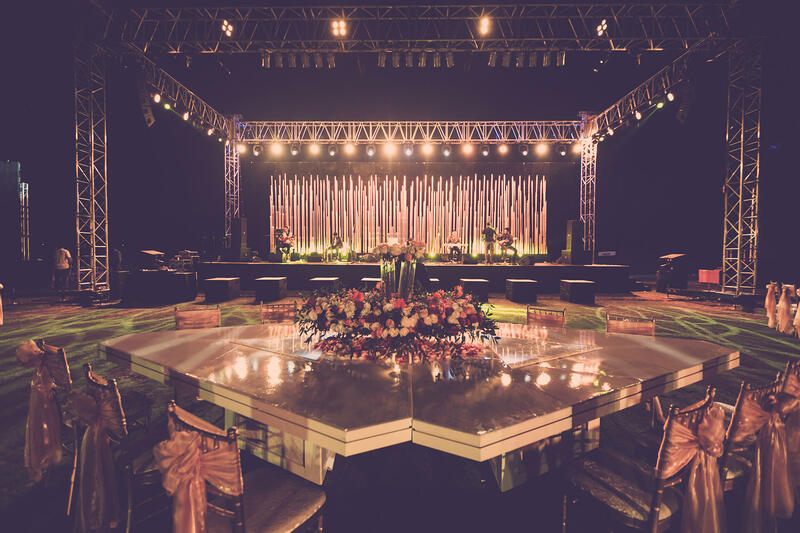 This well tested procedure puts us among one of the the best wedding planners in Dubai and ensures you will have a stress-free event. We will give you the necessary time needed to enjoy every step of the planning process and make sure the wedding is planned on time and executed smoothy on the highest level of discretion. To read more about our list of Dubai Wedding Services, click here. Still have any questions? Drop us a line to get in touch. We look forward to working with you on planning your special event soon! Every wedding we take on is a completely unique event. First we will listen to you and based on your imagination and our inspirations we will create a custom concept around your event. Our concepts will be then get visualized by our rendering specialist. Our wedding planning team is going to be there every step on the way to synchronize the work of the suppliers. We will make sure the wedding is planned on time while giving a hands-on experience on how the design is executed. Simply say, we will guarantee you a perfect day. "I personally wanted to thank you for your professionalism. It was a unique experience which fully met our expectation. You have made an amazing job. Bravo. Wish you successful personal and professional life on what we have no doubt." "I must point out that we have been overwhelmed with the help you have provided us, you have gone above and beyond our expectations. And you have really impressed us with the help, your quick responses to e-mails, going out of your way to get pricing, quick responses to our requests, changes and the way you have made us feel comfortable. I would like to thank you again for everything you have done for us. 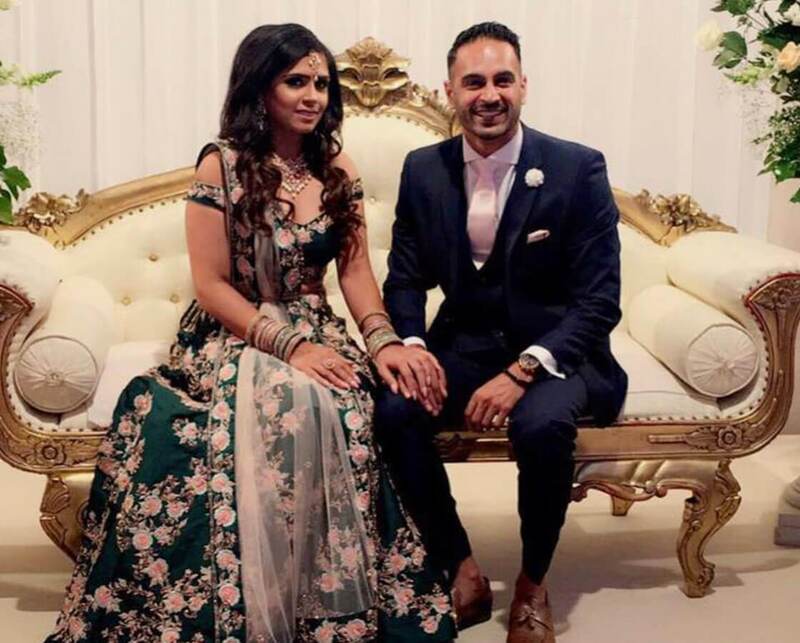 If we know anybody who wants to do a wedding in Dubai you will be the only person who we would recommend, this is because of the fantastic experience we have had with you. 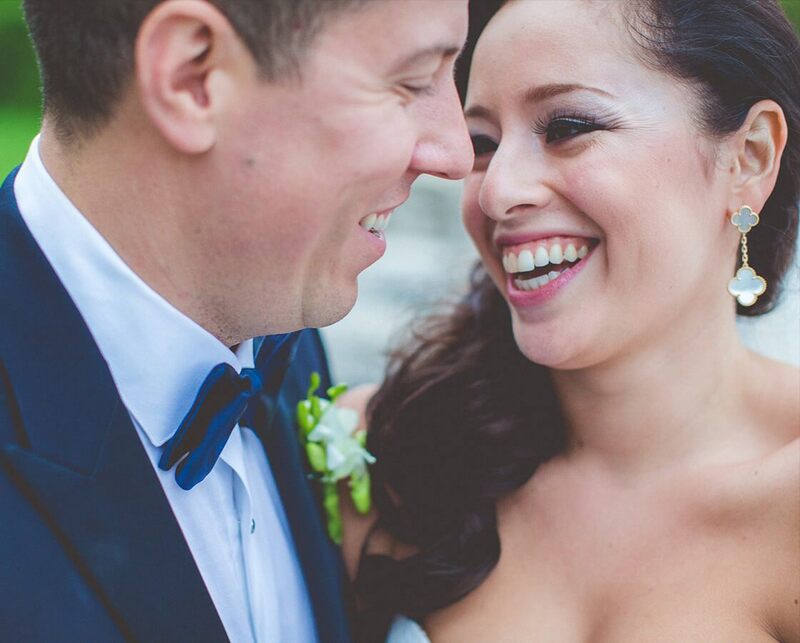 Thank you again"
"You made our fairytale wedding come true! Thank you so much for all of your help this past year! The Dubai Wedding Team is truly a joy to work with! Dora, you are amazing and I will never forget you! Hopefully we will see you again! We love you guys!" "We would like to thank you for all your hard work. We got in 100% what we have imagined if not even more. We are very glad that one year ago we decided to choose you. You made our dreams into reality. Thank you." When you send a message please provide some basic information about your event, such as date (fixed or flexible), short description of the wedding ceremonies / functions needed, number of guests, area of Dubai considered, venue type considered (ballroom, outdoor, boat, desert, other), what additional services are required for example photo, videography or entertainment.